PoE: Are You Looking for An MMO with A Great Gameplay? 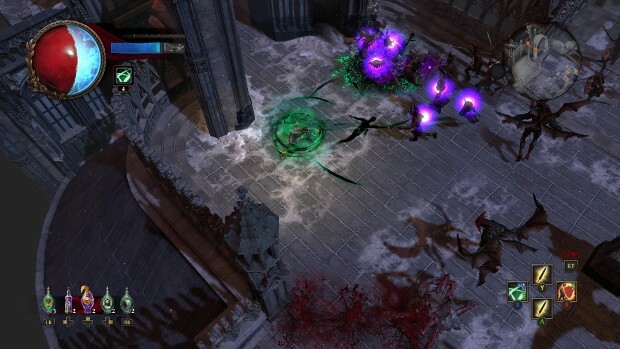 Path of Exile is considered by many to be the true spriritual successor to Diablo 2. It's dark, gritty and far more complex than its counterpart Diablo 3. If you're going to play an ARPG, you really should play PoE. Here are four reasons to love this game. This is perhaps the best thing about PoE. Micro-transactions exist, but this game is definitely not pay-to-win. Micro-transactions areonly for cosmetic items and a few other features for convenience. The whole game, however, is available for free. Players are even able to create multiple accounts and characters and have more than one logged in simultaneously. This allows players to have a virtually unlimited amount of inventory space without having to buy stash tabs or character slots, though theseare more convenient. With gameplay reminiscentof Diablo (and ultimately inspiring Diablo II), the game's graphics are far from the fantasy settings of most RPGs. PoE isstill in squarely in the fantasy genre, but with a darker, grittier design not commonly found in other games. Enemies are trulyterrifying, befitting the setting of a cursed ruin of a once mighty city. Most of the usual game mechanics of RPGs have been itemized, such as the economy (PoE currency revolves around items that change another item's characteristics), the endgame (in the form of maps), and skills (in the form of gems, as mentioned above). Okay, here's where all the challenge lies in the game. There are six base classes that determine from which section of the game's expansive skill tree your character can begin acquiring skills (as well as one unlockable that can start from the center). Important to remember, though, is that if you level up high enough, you'll be able to acquire skills from other areas of the tree, thus increasing the available variety of passive skill combinations. Active skills exist in the form of collectible gems that the player placesinto sockets on their equipment. That means you can have swords that spit fireballs and boots that can let you leap distances, or a bow that shoots ice and armor that lets you teleport and leave a trail of fire in your wake. Practically any class can use any skill gem, provided they can obtain that gem and meet the requirements. That's results in a great many possible combinations of skills, and gives a depth of customization that many other games try, and fail, to emulate. Some gamers prize a good story above all else in a game, and PoE's story is no slouch. The game opens with the player character awakening on the shores of Wraeclast, an island for criminals and ne'er-do-wells (hence Path of ‘Exile') from the nearby island nation, Oriath. In addition to the other exiles on the island, you also discover the ruins of an old civilization and the cursed creatures that haunt them. This forcesthe exiles to band together just to survive, because the environment isn’t going to make it easy on them. Path of Exile is by far the best ARPG I have ever played. Nothing else even comes close to it's depth and replay value. Also, a easy way for you to gain poe orbs fast is to buy poe items on U4GM.